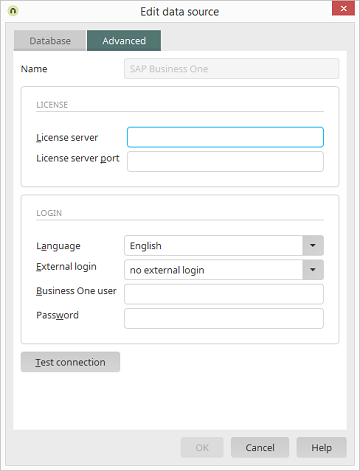 Enter the SAP Business One license server here. Enter the port of the license server here. The SAP Business One language for feedback is defined here. The user mapping of Intrexx users and SAP users can be defined here. Select which external login should be used. Enter the username and password if "No external login" was selected. Tests the connection to the database and license server. You can also find your login information by using your SBO client. Navigate to Modules / Administration / License / License Administration.